eBook converters are really easy to use, but if you aren’t already well versed in what they can do, it can be confusing. Most people are becoming more familiar with document converters, but eBook converters still seem to have a lot of questions surrounding them. We’re going to explain everything you need to know about why you need to know how to convert eBooks and how to do it. What is an eBook File Converter? 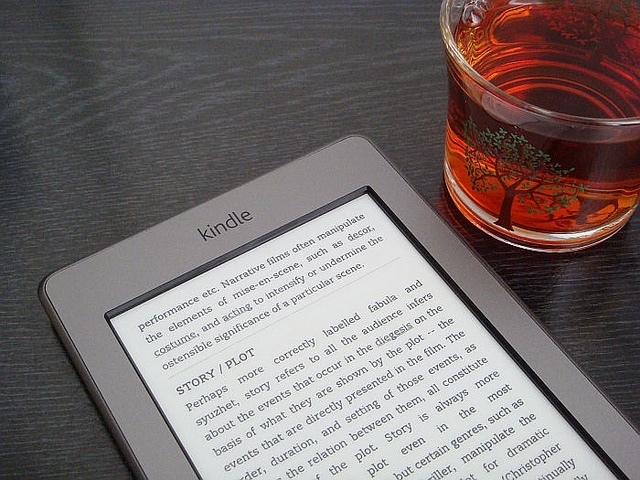 An eBook is an electronic book you can read on your computer or mobile device. However, behind the scenes, an eBook is a specific type of file that is viewed on those devices. Each eBook is created in a specific type of file and can only be read on the devices that have the technology to open them. When you’re working with word processing documents, the most common type of file is a .DOC. This is because that document type is created by Microsoft Word, which is the most popular type of word processing software. Since other types of software want you to use their software, they usually also give you the ability to open DOC files because it’s good for their business to allow their users to interact with Microsoft products. However, if your software can’t open the DOC document type, you simply have to use an online document converter to change the document type. eBooks are the same. Since there are now dozens of eReaders on the market, that means there are dozens of different types of eBook files. Because of this, the chance that at some point you will want to read one of your eBooks on a device that can’t open it is relatively high. This is why it’s necessary to learn how to convert eBooks. You may also need to convert eBooks to a different format because you need it to become a PDF file, or a Word document. Other people may need to convert eBooks because they’ve changed devices and their new device doesn’t have the same capability as their old one. The hardest part of converting eBooks isn’t the conversion process, it’s finding the right converter. There are a lot of things to consider before you decide what type of document converter to use. Some of those items are to review what features are available, whether the features you need are available, whether to use a desktop converter or an online converter, and of course, they must have the ability to handle the specific type of conversion you need. Once you find the tools you’re going to use to convert eBooks to a different type of file, the hard part is out of the way. At that point, it’s just a matter of completing the steps in the conversion tool. Most tools offer you a simple browse method of selecting your file. This means you will simply use your computer file manager to select the specific eBook file you want to have converted. This is done in the same manner as selecting a Word or Excel file to open. Once you select the file, you will just need to tell your conversion tool how you want the eBook file converted. After you select the type of file you need, the tool should then convert your eBook. You should either receive an email that includes the new file, or a link on the website page that will allow you to download your converted eBook. Now that you know how to convert eBooks, you should be able to read any of your eBooks on any device you have!